Do not skimp on comfort and convenience of your masters and customers. Reputation of prestigious cosmetic salon begins with decent quality equipment. We offer you the “KPE- 4 Dream Skin”. This is a great model with automatic control. 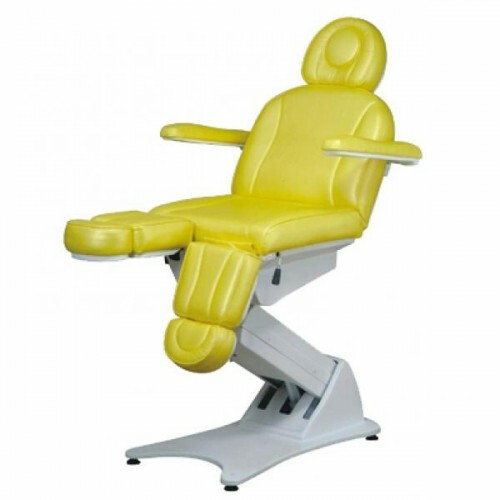 Simple and understandable to use, it saves a lot of beautician’s time and gives comfort to the client. The main purpose of the couch is a use as a pedicure chair. Flexible "legs" of the couch promotes this; they can be set in five different positions. In addition the couch is used freely in various cosmetic procedures. Thanks to its "flexibility" and great functionality the couch is transformed to fit your needs.